These olives are hand-picked on farms we’ve personally visited many times. Once they’re delicately plucked from the tress (to avoid bruising), they’re gently fermented for three or four months, until they have the perfect texture and are ready-to-eat. 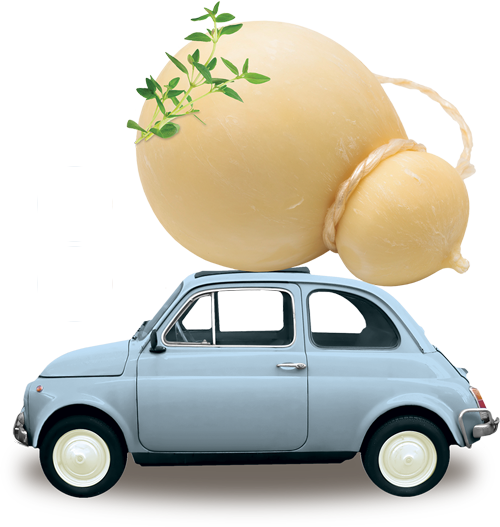 They’re naturally gluten-free NON GMO with ACTIVE POLYPHENOLS and ZERO CHOLESTEROL. 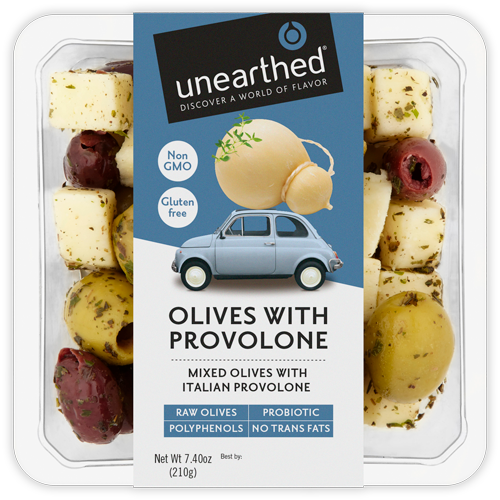 We’ve combined these olives with provolone cheese we discovered being made on the slopes of Mount Vesuvius in Southern Italy. Still very much an active volcano, Mount Vesuvius hasn’t erupted since 1944, so grab this incredible combination while you can. Halkidiki & Kalamata Olives (Green Olives, Black Olives, Salt, Sunflower Oil, Acetic Acid), Provolone Cheese (Pasteurized Cows’ Milk, Salt, Starter Culture, Enzymes), Sunflower Oil, Lemon Oil (Sunflower Oil, Lemon Zest, Salt), Mixed Herbs (Parsley, Basil, Marjoram, Oregano, Thyme, Sage).